The John Deere big scoop dump truck is sand box tough and ready for loads of adventure. 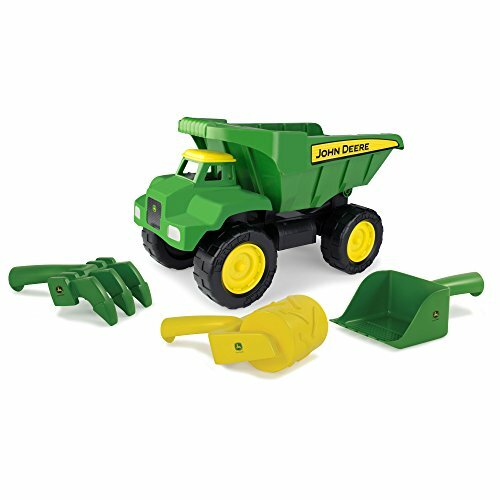 This 4-piece set includes (3) John Deere sand tools; a scoop with sifter, hand tiller and a tractor wheel pattern roller. The 15" dump truck features an easy-grip handle to tilt big loads out of the dump bed. Get ready for fun in the sun and sand with big scoop! ages 3 years +. Produced by TOMY and officially licensed by John Deere. Get ready for fun in the sand!